National Volunteer Week is an annual celebration observed to promote and show appreciation for volunteerism and volunteering. In the United States. 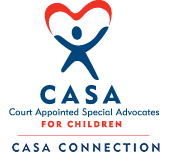 CASA Connection is very grateful for all of our volunteers.